The College of Charleston Honors College thrives because our students share a commitment to success inside and outside the classroom. 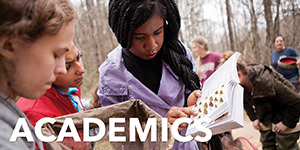 CofC Honors students continually pursue high impact learning experiences via innovative research, meaningful community engagement, and a rigorous curriculum. Although we are a relatively small group of just over 700 undergraduate students, the accomplishments of our students are notable. 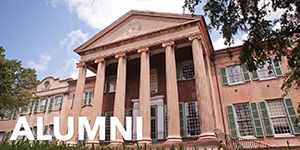 CofC Honors students have received Goldwater, Hollings, Udall, Fulbright, Fulbright Summer Institute, JET, DAAD, and Rotary Global Grant awards. They have studied abroad in six continents (Antarctica awaits! ), completed service and research projects around the world, and launched their own businesses. Each CofC Honors student is paired with an Honors College faculty advisor in the freshman year and that person serves as a mentor all the way through to graduation. This level of mentoring is unparalleled as it allows a faculty member to get to know each advisee as a scholar, as an emerging professional, and as a person. When students need a letter of recommendation or change in direction, their advisor is there to assist them. Honors advisors have a unique perspective on their advisees - a balcony view of the student’s aspirations that enables them to empower students to achieve their long-term goals. At the start of the 2018-2019 academic year, I was thrilled to announce that all incoming CofC Honors freshmen will now be given the opportunity to apply for a mentoring cohort. 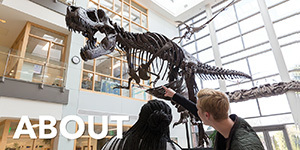 Additionally, the Honors College houses both the Office of Undergraduate Research and Creative Activities (URCA) and the Office of Nationally Competitive Awards (NCA), two offices that serve the entire campus community. Dr. Beth Meyer-Bernstein, Honors College Associate Dean and URCA Director, works to provide CofC students with over $200,000 in grant funding annually to complete and present research projects that offer substantive contributions to their academic fields. Dr. Anton Vander Zee, Honors College Faculty Fellow and NCA Director, encourages CofC students to think critically about their future endeavors and determine how a nationally competitive award might assist them in their pursuits. As a result of this encouragement and support throughout the application process, the College of Charleston has been named a “Top Producer of U.S. Fulbright Scholars and Students” and has been successful with a number of other award programs. Our Honors classes set us apart from other institutions. With a cap of 19 students for most introductory Honors courses and 15 students for most upper-level Honors Courses, our students get the high level of rigor and faculty engagement they seek and the support they need to excel. About one-third of a student’s coursework will be completed through the Honors College curriculum. We like to point out that Honors courses, as compared to general courses, aren’t more work; instead, they offer a different learning environment focused on active and immersive approaches. 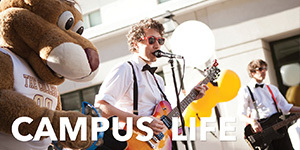 Many CofC Honors courses are interdisciplinary, crossing the boundaries of traditional disciplines in order to mirror the real world. Students are able to apply knowledge gained in one subject in order to deepen an understanding of another. Additionally, many Honors classes are co-taught by two professors from different fields. These faculty members bring their unique sets of knowledge and skills together to work collaboratively to present a subject in a way that transcends a textbook. Our students integrate passion into everything they do, as evidenced by the tremendous outcomes of our service learning first-year experience, Honors Engaged. This community engagement program utilizes the collective power of our students to enact meaningful and intentional change in the Charleston community. On average, Honors students dedicate more than 5,000 combined hours of outreach to over a dozen community partners in the area each year through Honors Engaged. We seek to empower students to think critically about community challenges and opportunities as they engage with their neighbors. Honors Engaged provides the framework for a lifelong appreciation of active citizenship and allows students to develop interpersonal and professional skills. 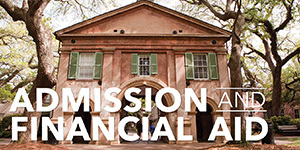 To learn more about how our CofC Honors students and alumni are involved and prospering, check out our website and 10 Green Way blog. To see what jobs, internships, research positions, and other opportunities current Honors students have available to them, check out our Honors Hub. 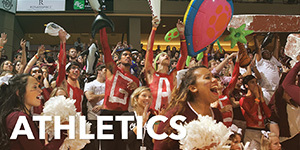 If you would like to be a student in the Honors College, a supporter of our scholarship, leadership, and mentoring programs, or an Honors Engaged community partner, please do not hesitate to contact us by sending an email to honors@cofc.edu.